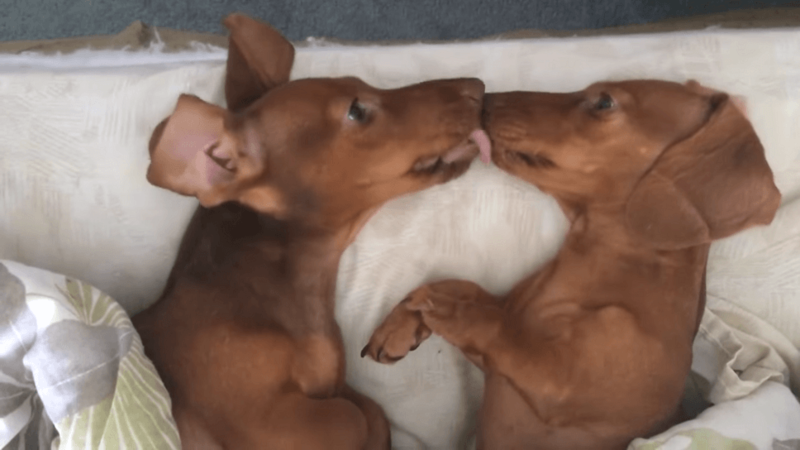 What These Two Dachshund Pups Do Before Bed Is Absolutely Adorable! Like most litter mates, cuddling and snuggling before bedtime is usually routine. But what you normally don’t see is the sweet back and forth kissing between them. Check out these two dachshunds kissing one another good night, not only are they angelic but so gosh darn cute! We love this! Do your pups do anything cute and silly before bed time? Comment below and don’t forget to share!